This routine retained by Taichi grandmaster Guo Shi-kui is full of ancient style. The boxing performs completely in 3-dimensional circles, big frame postures, small circles embedded in big circles, three straights, four followings, clear-cut yin and yang for bodywork, handwork and footwork. All these are interconnecting each other tightly and of high research and practical value. 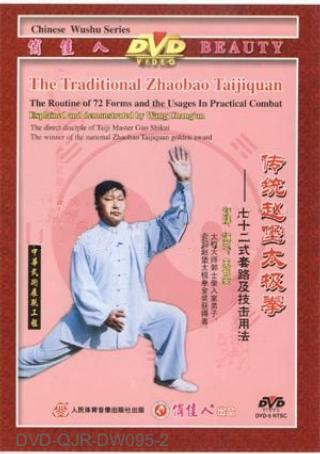 Under the guidance of Guo Shi-kui, Wang Chang-an resumes the original combat function of the traditional Taiji with every form of profound combat meaning.